Presidential investment envoy Phumzile Langeni says she is satisfied with progress in the Department of Trade and Industry’s investment mission to Japan. “We are having fruitful engagements with government and the private sector, and they are both very open to us. The discussions are frank and constructive as we had hoped. “As South Africa, we are conveying our message quite well that we are open as an investment destination and the current administration recognises the importance of economic growth and rebuilding the economy and investor confidence,” said Langeni on Thursday. The dti is currently leading a delegation on a weeklong investment mission to Japan with Langeni. The visit to Tokyo is in line with President Cyril Ramaphosa’s investment drive to attract $100 billion worth of investments into the South African economy over five years. Addressing Kedanren, the Japanese Business Federation, Langeni made an assurance that South Africa is working tirelessly to address the challenges that are contributing to sluggish economic growth. The acting Head of Invest South Africa, Yunus Hoosen, encouraged the Japanese to form partnerships with South Africa. “We are encouraging partnerships and cooperation in developing technology hubs. We know the Japanese are way ahead in terms of skills and technology. We seek high level investments from Japan. We want to grow with Japan,” said Hoosen. Hoosen said government is making progress in improving regulatory certainty for investors. “We also invite investors and potential investors to utilise the Invest SA One Stop Shop, which is an initiative of the dti that seeks to provide strategic guidance, eradicate regulatory inefficiencies and reduce red tape for all investors,” said Hoosen. 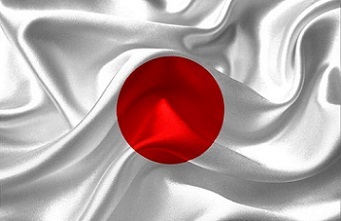 Japan is a long-term Top 10 investment partner of South Africa. The island nation has over 140 companies operating in South Africa such as Toyota, Nissan, NGK and Sumitomo Rubber Industries, amongst others. The visit to the island nation will conclude on Saturday.